What every parent or child affected in a Divorce dreads. Getting served with papers that state your former spouse wants to relocate far away. In my case I live in New York, they wanted to move to California. The “papers” say it is necessary, so important in fact, they request a temporary order allowing them to move as early as 1 July 98. Of course, the “papers” also say they recognize the value of my relationship with our child, but, unfortunately, the other reasons for moving out weigh that and make it in the child’s “best interest”. 10/1/2000 – John found out that he lost the appeal. He is persuing the matter of relocation and also the right to trial by jury to New York’s highest court, the Court of Appeals. 9/12/2000 – John’s lawyer in his relocation case, argued the appeal on 9/7. He visited the jail afterwards and told John that the judges appeared very attentive and sympathetic to his arguements. A written decision should be due within a month. 8/14/2000 – John is also appealing the relocation of his son to California. The appeal will be argued by his attorney, James Stern, on September 7th in front of New York’s Appelate Division in Rochester, NY. Read Appelate Brief. 7/10/2000 – The petition is returned from the court clerk. I am told it appears I am not a resident of the county and should file elsewhere. 6/28/2000 – I prepare the petition again and refile it, right before starting a Support Trial. Back to “square one” — does anyone care about Domenic or have a sense of urgency? Was this a proper use of Judicial Discretion? 6/27/2000 — I appear in Court with Mr. James Stern as Counsel, Ms. Walsh appears for my former spouse. Ms. Walsh wants a motion date to be set soon to argue Court Jurisdiction due to Domenic’s relocation to California. Mr. Stern asks to be assigned counsel. Judge Hood shortcuts all this by saying that the Court, on its motion is going to dismiss everything for “improper service”. It appears there was a rule that I could not perform service of the petition on Ms. Walsh (because I was a party to the action). Some of this might make sense, except to the fact that everyone did appear and proper service was never at issue. My attorney then tells me the Judge Hood’s maiden is Walsh (she is Congressman’s Walsh sister) — whose office I have been walking outside of, written letters to, and tried to influence? A strange situation. May 2000 — I go out to California to see Domenic, it’s been 6 months — when we meet he is eager to see me and jumps into my arms, what a joy — we have a wonderful weekend. But I am having troubles arranging a summer schedule, there are attempts to block me from school, and I realize I need to file a Violation Petition. March 2000 — The Brief is on its way, waiting for scheduling. The Appellate Brief is here. It is now scheduled for the fall term of the Court. 10/4/99 – Hard to believe the Appeal has not gone out yet. My attorney certainly means well, but it has been a slow process, especially for assigned counsel. Here is a very brief overview of the trial, with references to the transcript. 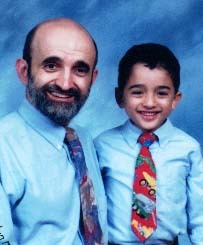 Summer 1999 – Have been to see Domenic twice in the Spring. Flew him back and forth from New York for a 6 week summer visit — so hard to explain to him why we can’t stay together more. I have fallen way behind in child support, have spent around $3,000 just on travel. 1/23/99 – Had a Trial on the matter in mid November. I was represented by Counsel. At the conclusion we felt confident that no move would take place based on the evidence at Trail. The testimony and evidence at trial seemed conclusive that it was not in Dom’s best interest. In an order of early December, the move was approved. It was devastating! I found out the move was approved in early December. The attorney has noticed an appeal. I also wrote to the Judge in two letters to explain my concerns. Letter 1: Review of the decision. June 1998 – You can read my responsive filing to this request. The initial appearance in front of the Family Court Judge was on June 17th, 1998. The trial was held in November of 1998.